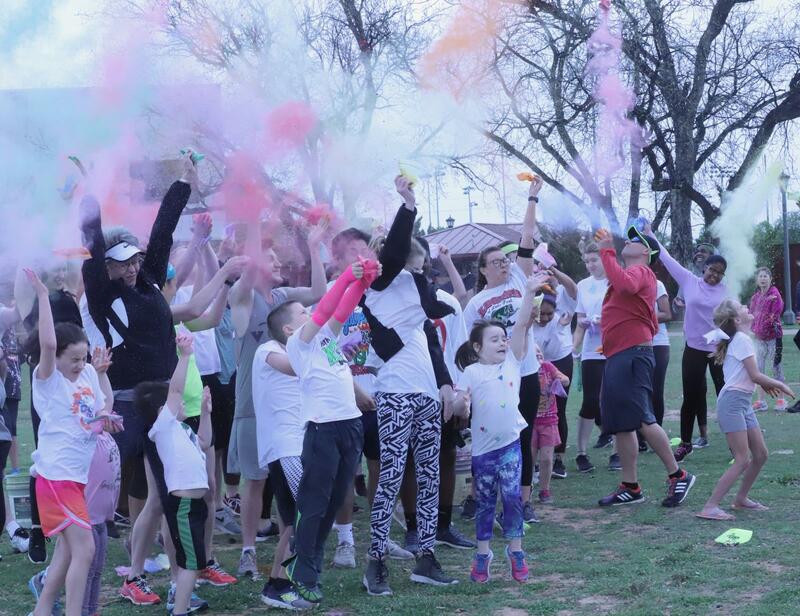 Fifty-two people ran the 5kolor Run at Sikes Lake to show support for Sexual Assault Awareness Month and to donate to the Wichita Falls Faith Mission, a non-profit organization that benefits the homeless and abused women. “This was my first time running it, and it was really amazing to get the opportunity to support an amazing cause,” Kennedy Howard, education sophomore, said. Organizers set up a table for runners to donate things like clothes, tooth paste, toiletries and canned foods. “I love the fact that you get a chance to interact with other students and faculty on campus to get a chance to show others that you support them and others that have been sexually assaulted,” Howard said. Howard said she participated in the run because it felt like the right thing to do, and she would want somebody else to support her if she were in the same situation. 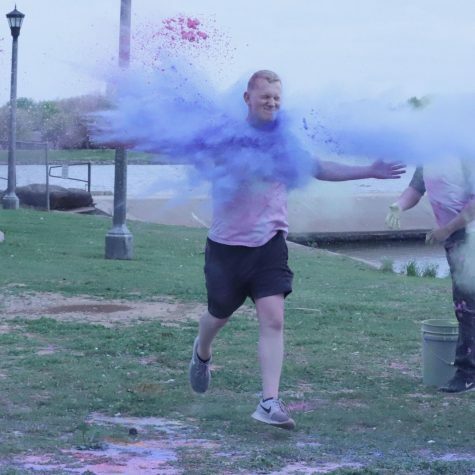 “This is my second time coming to the color run. It’s an awesome event for a good cause,” Madi Eckeberger, nursing junior, said. When the race started runners threw little paint bags in the air coloring themselves. When they reached the finish line, resident assistants drenched runners in yellow, blue and pink paint. “My favorite part is throwing the color at all of my friends and having a good time with everyone,” Rogelio Nunez, psychology junior said. 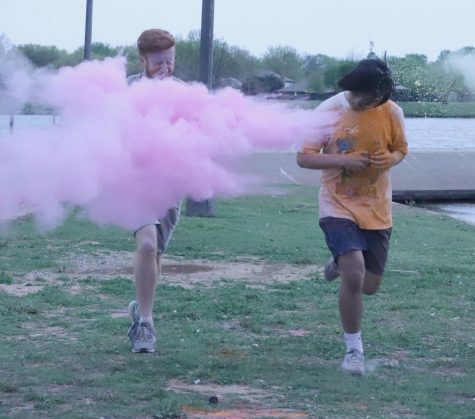 Nunez also said participating in the color run was a good way for him to relieve stress. “My favorite part is throwing the color at all of my friends and having a good time with everyone,” Nunez said. At the end of the race there were tons of smiles, grins and giggles the children and some students running through the finish line twice to get more paint on them. “My favorite part is seeing people of all ages genuinely happy,” Eckeberger said.